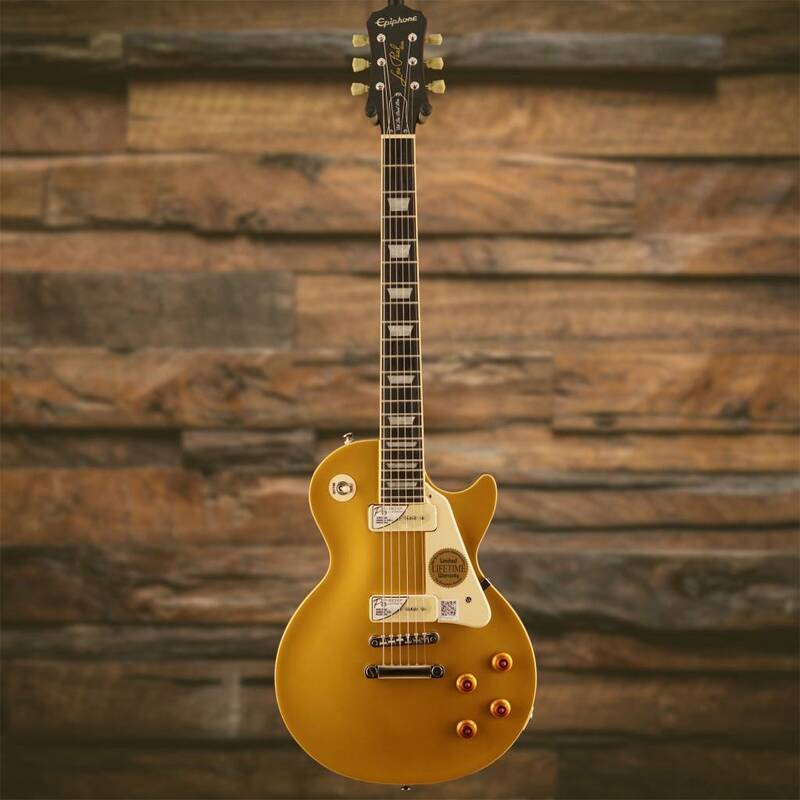 $572.00 This may be in stock for quick delivery; please call! 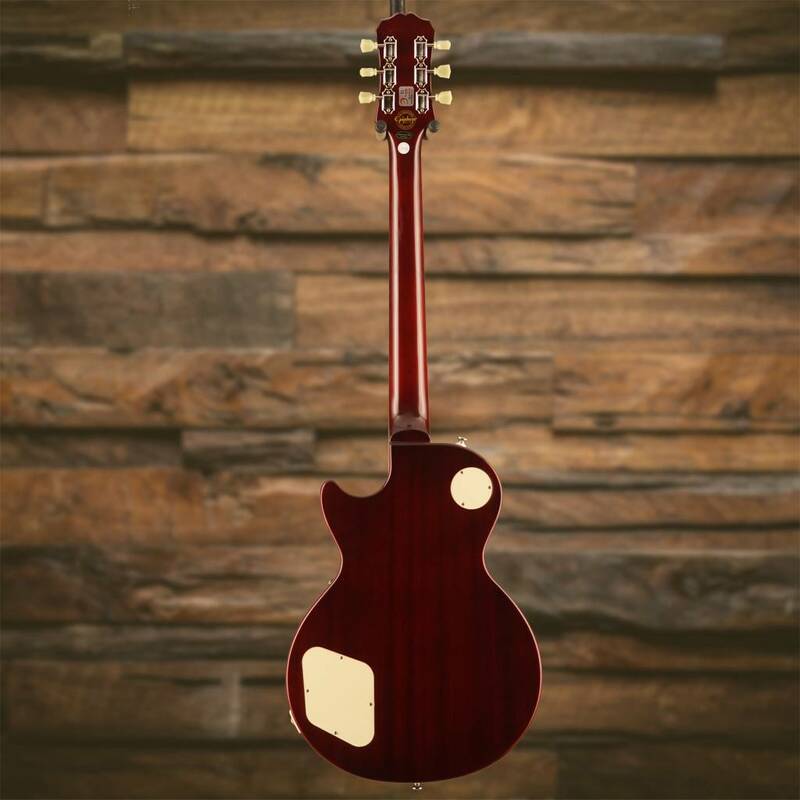 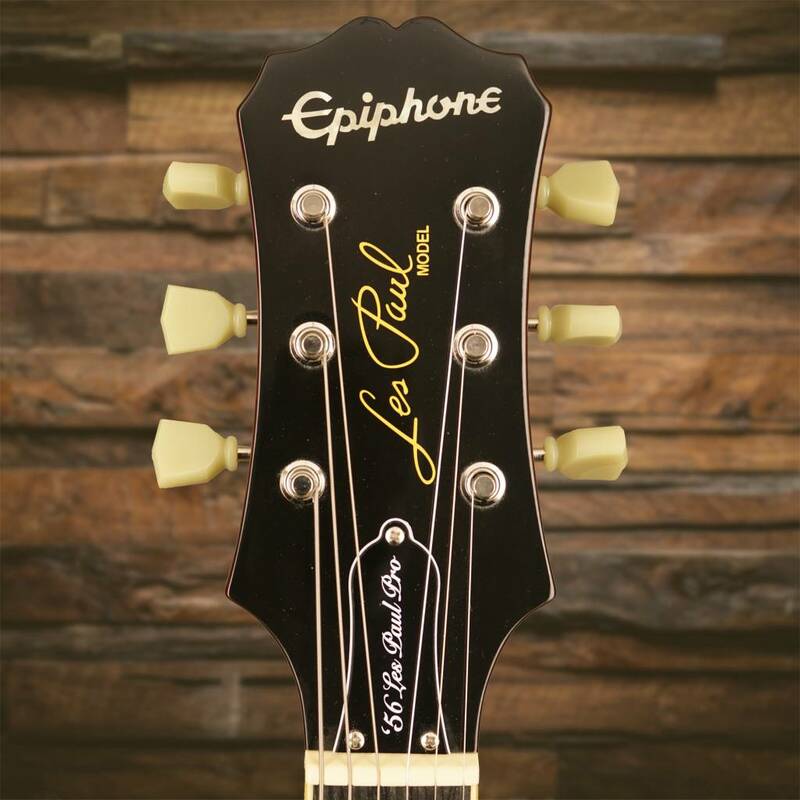 Epiphone continues its long history of innovation with the introduction of the “1956” Les Paul Standard PRO featuring Epiphone's new P-90 PRO pickups made to the original specifications of vintage P-90s including bobbin shape, 18% nickel/silver base and Elektrosola wire. 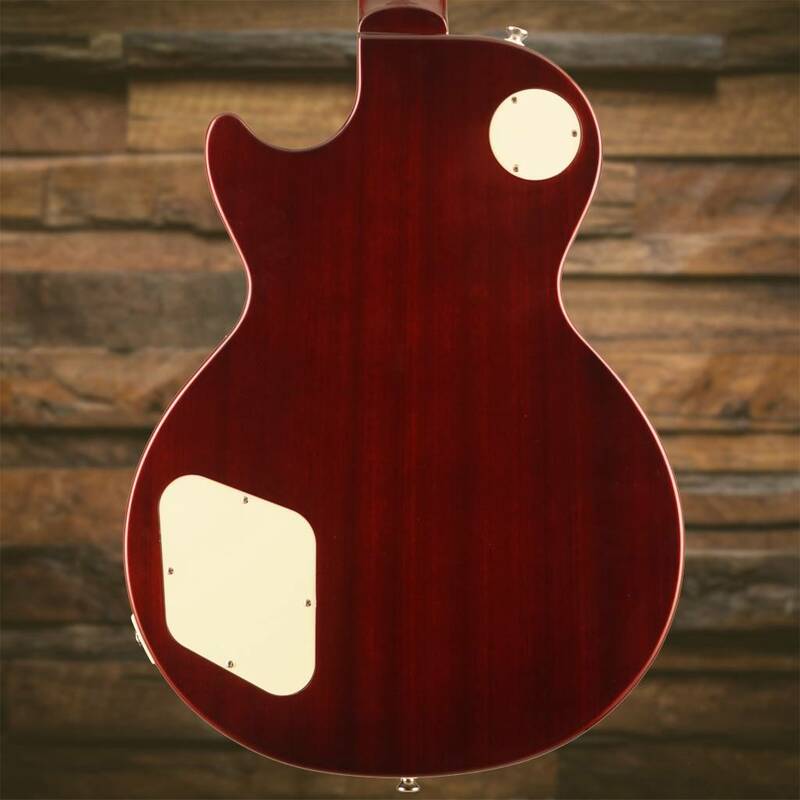 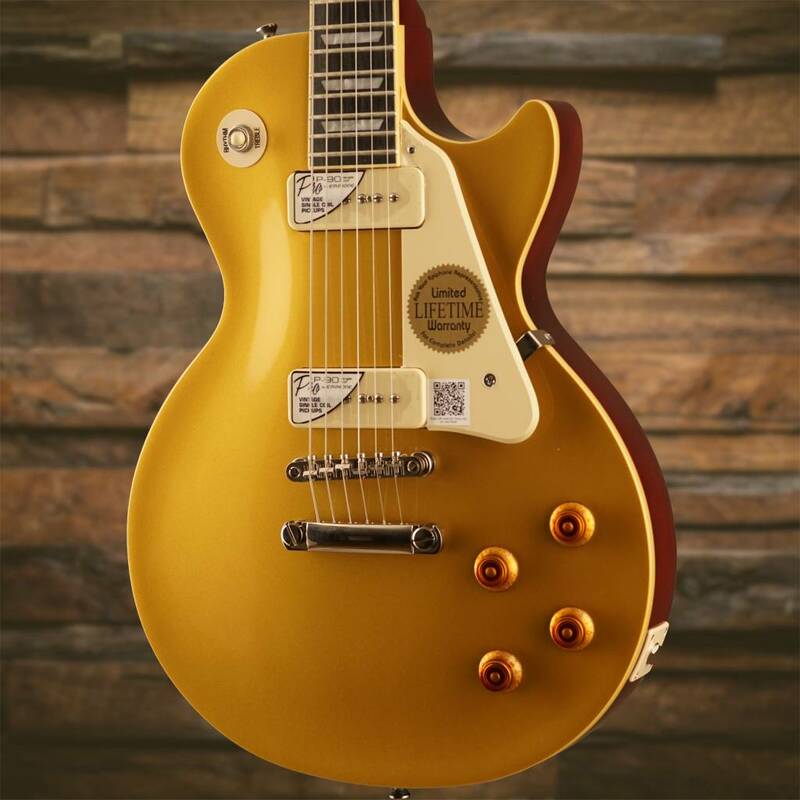 The new “1956” Les Paul Standard PRO packs a powerful punch with classic P-90 tone to the bone. 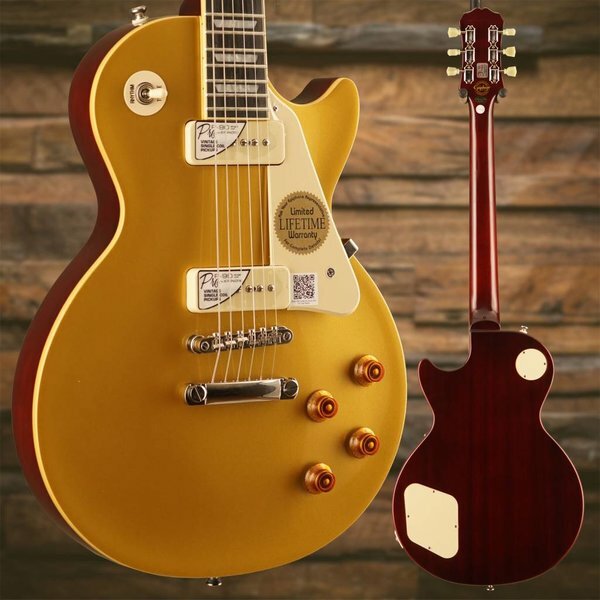 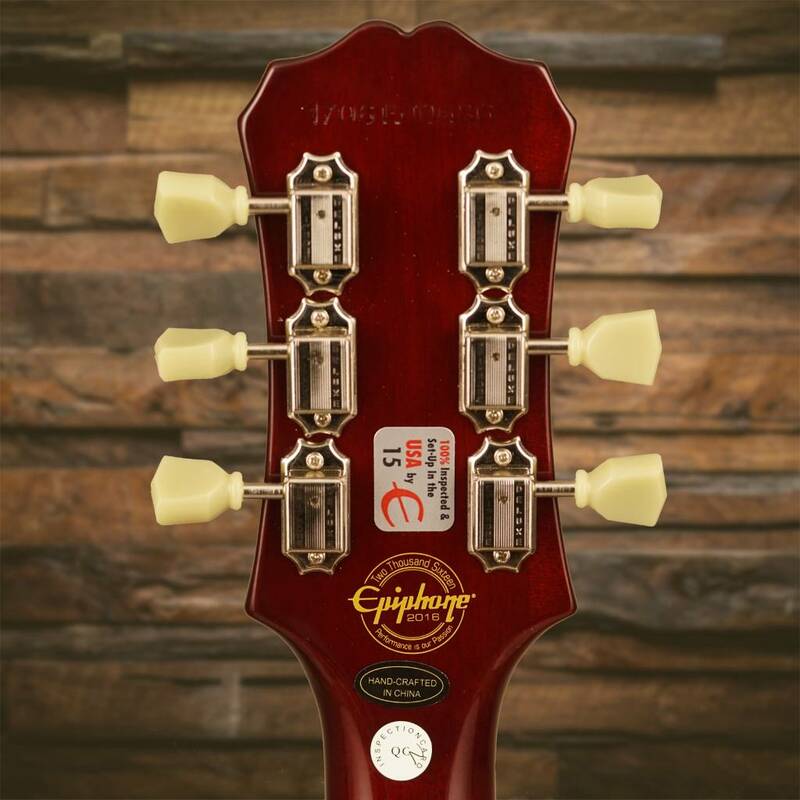 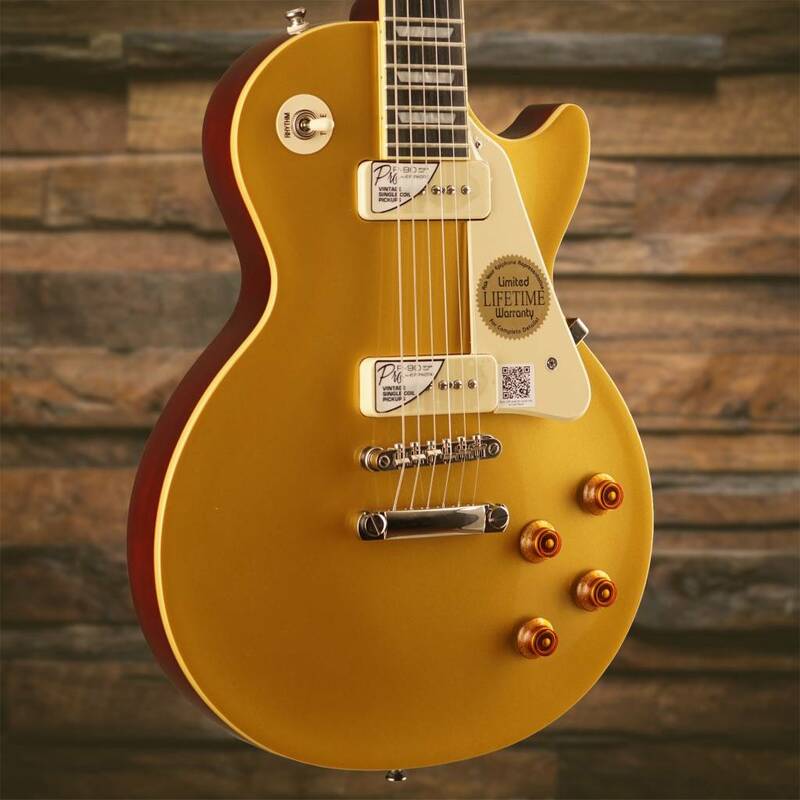 Like every Epiphone, the “1956” Les Paul Standard PRO features a Limited Lifetime Warranty backed by world famous 24/7/365 Gibson Customer Service. 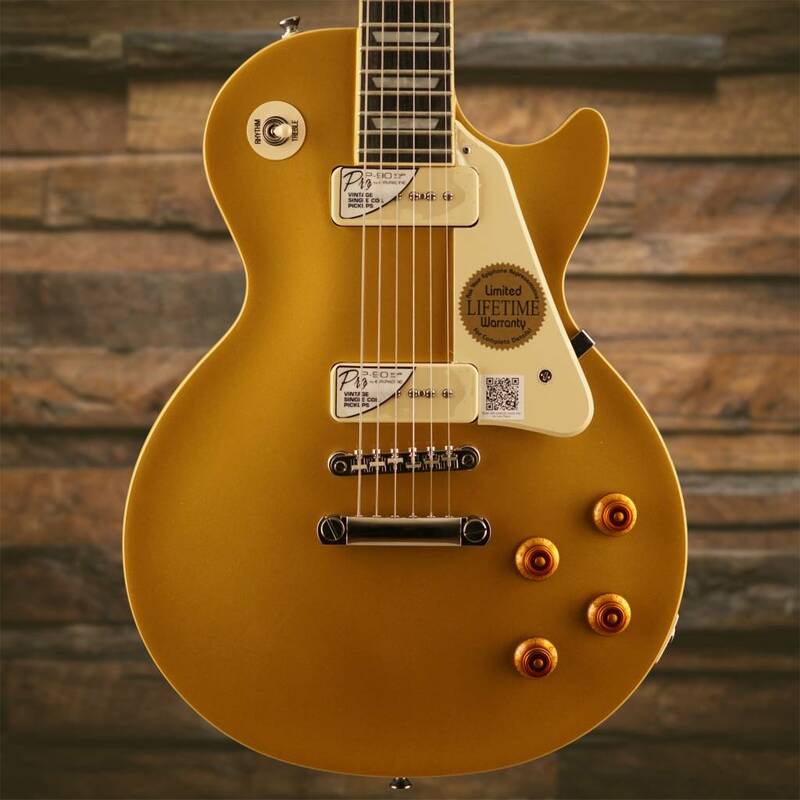 History repeats itself—only better--with the new Epiphone Les Paul Standard Plustop PRO.